This recipe is noodle perfection. 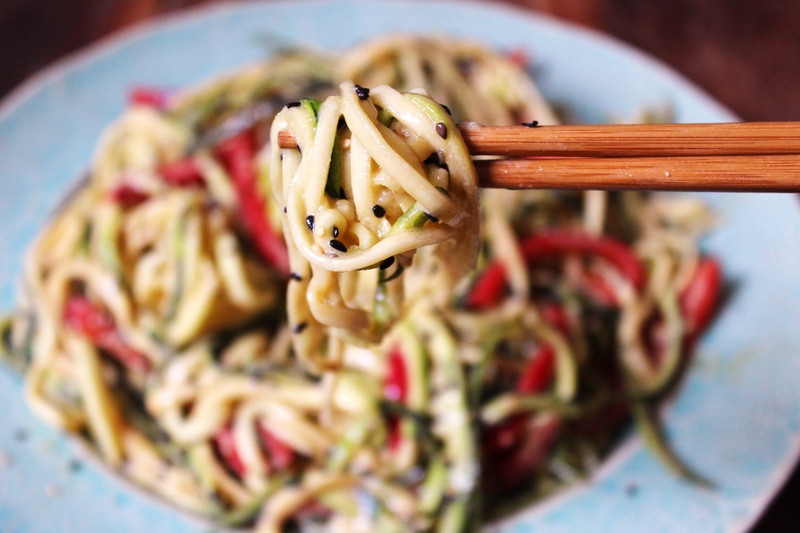 The perfect sauce to noodle ratio, a deliciously nutty, creamy sauce with just the right amount of sweetness and a gorgeous little crunch from the sesame seeds. It’s ready in under five minutes and served cold so it tastes amazing straight away or as leftovers from the fridge. You can watch me make this recipe here! 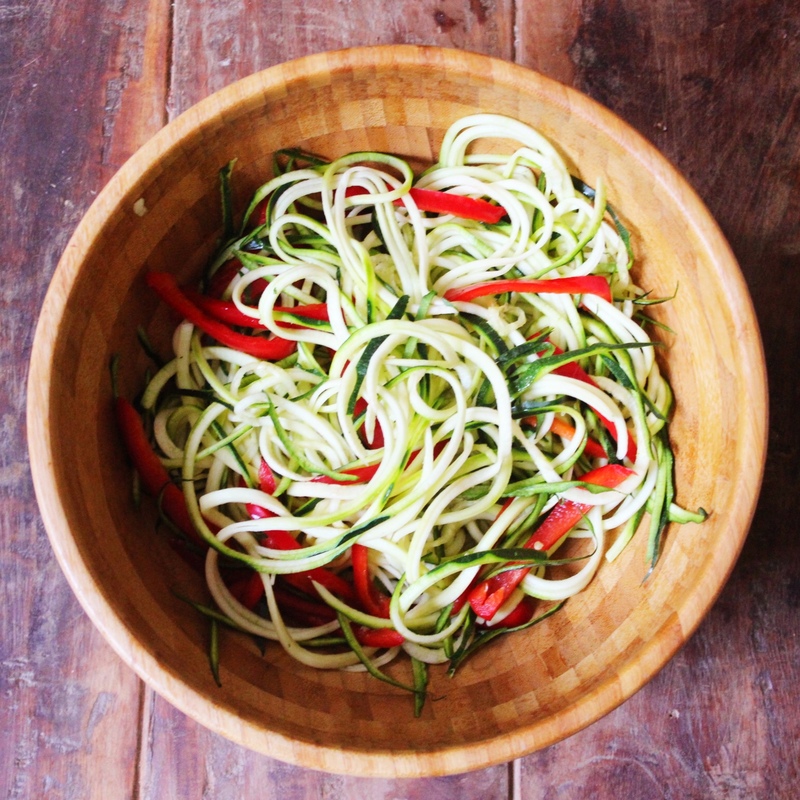 Spiralize your courgettes and add them to a large bowl. 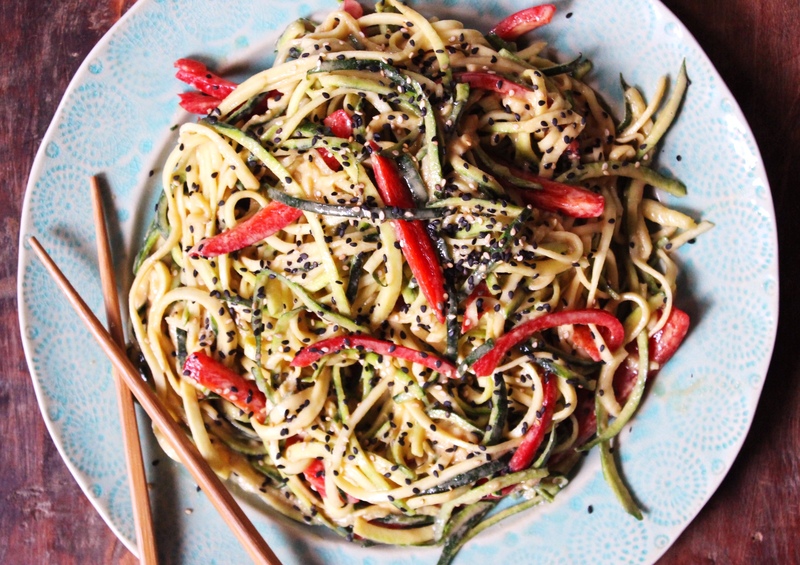 Slice your pepper into really thin strips and pop them into the bowl too. 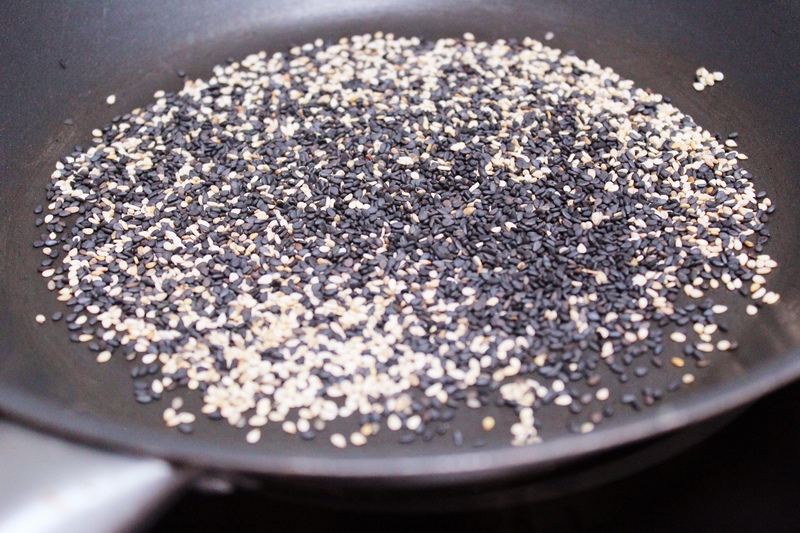 Add the sesame seeds to a pan on medium heat and let them toast away while you make the dressing. Toss them every minute or so. They are done when you start to hear popping. Add all of the dressing ingredients to a bowl and whisk it well until you have a creamy, smooth mixture. Pour the dressing over the courgettes and toss so that everything is evenly coated. 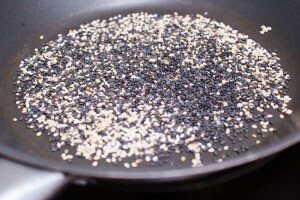 Sprinkle the sesame seeds on top and dig in! Tried this recipe today and I think it’s absolutely gorgeous! I love tahini but never thought of using it in cooking!! This is definitely a recipe I’ll be coming back to regularly! 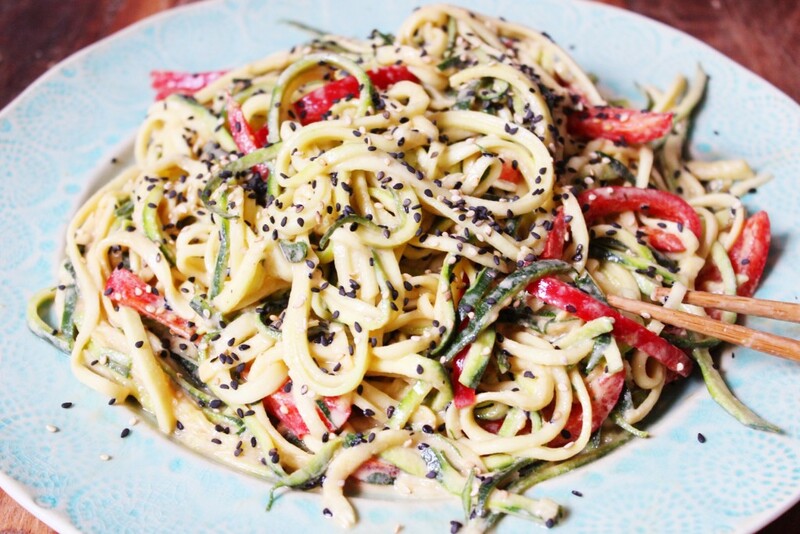 As the weather gets cooler and the days longer I have been craving creamy pasta. This looks like the perfect fix!